What is a VAT qualifying car? £8295 Finance From £141.37 p/m*. This stylish city car sits within a crowded sector, yet the Vauxhall Adam has little trouble differentiating itself from the competition. Offering stylish looks, a sleek and well-designed cabin, plus an enjoyable driving experience, the Vauxhall Adam is certainly worth a closer look. 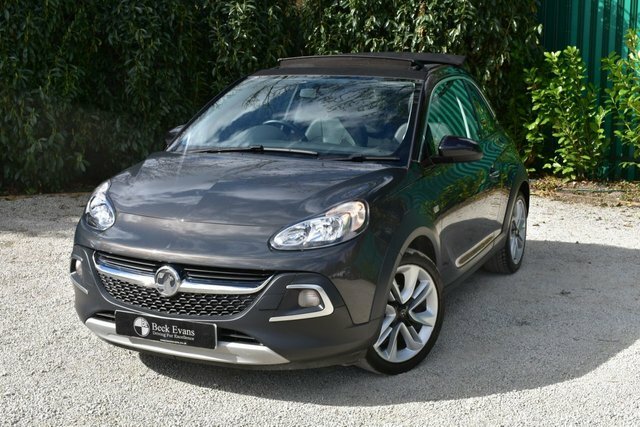 You'll be able to find great deals on a whole range of used Vauxhall Adam models for sale in Sidcup simply by starting your search here at Beck Evans (2000) Limited. We stock a vast range of affordable, quality vehicles and our showroom team will do everything possible to help you find a used model that suits your lifestyle and budget perfectly. Get in touch today for more information. Finance is available to UK residents aged 18 years or older, subject to status. Terms & Conditions apply. Indemnities may be required. Other finance offers may be available but cannot be used in conjunction with this offer. We work with a number of carefully selected credit providers who may be able to offer you finance for your purchase, commission may be received. We are only able to offer finance products from these providers. Postal Address: Beck Evans (2000) Limited, Beck Evans House, Cray Road, Sidcup, Kent DA14 5BZ. Find contact details here. Beck Evans (2000) Limited t/a www.beckevans.co.uk is authorised and regulated by the Financial Conduct Authority. Our Firm Reference number for Consumer Credit activities is 679282. Beck Evans (2000) Limited is also an Appointed Representative of AutoProtect (MBI) Limited which is authorised and regulated by the Financial Conduct Authority. Their FCA number is 312143. You can check this on the FCA Register by visiting the http://www.fca.org.uk. Beck Evans (2000) Limited is a credit broker and not a lender.